DOOR AJAR - THE M.B. 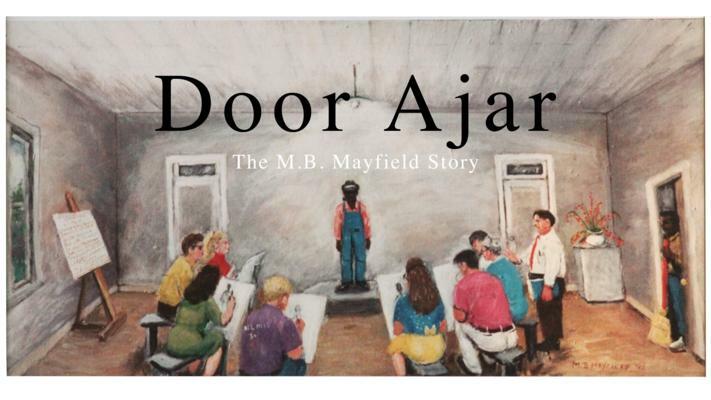 MAYFIELD STORY is the story of the African American artist who learned to paint in part by listening through a cracked door at the college where he worked. A portrait of more than just the artist and his art but the world in which lived the film paints a portrait of Mississippi over the last century. At times low-fi, the film contains a great deal of video shot over the last two decades, the film can be a little jagged. Interviews shot at different times and under different conditions collide to occasionally look like something that was cobbled together from bits. While in many cases this would work against a film in the case of DOOR AJAR it creates an immediacy that most other films lack. For example the film includes an interview with Mayfield shot not long before his death. In other cases we get a glorious sense of place and of the people who came into contact with the man. Until I saw the film I had no notion Mayfield even existed. While I may have seen some of his art, his name meant nothing. I had no idea what I was I for. When the film was done I found myself on line looking at more of the his paintings and pondering if I can find a space for a book of his art work. I really liked this film a great deal. What I liked more was that it opened my eyes to an artist I knew nothing about but who influenced those who saw his work and more importantly the people who knew him.